Despite the education of patients by doctors on the prohibition of cleaning the external ear canal using cotton buds, many people still choose the bud as the only form of cleaning ears of excess earwax. The bud removes only some of the earwax from the pinna, and much of it will be pushed deep into the ear canal causing blockage of the ear. In the worst case, we can damage the eardrum or injure the delicate epidermis of the ear canal’s walls. Such tragedies most commonly occur in the small ears of a child, because it is very difficult to assess the width, length of the ear canal, and it’s difficult to control the sudden movement of a child. 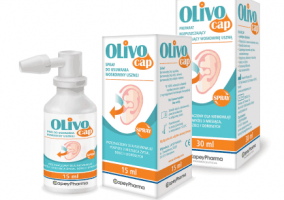 Olivocap Paluszak is an ear cleaner which will safely cleanse the pinna and external ear canal of earwax. We are sure that we won’t place the Paluszak in too deeply and won’t damage the eardrum. 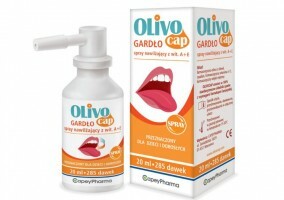 Moreover, in a hygienic manner, additionally using products that dissolve the earwax, with delicate movements we will cleanse the pinna and ear canal in the safest way possible. With the cleaner we will clean the hard-to-reach places of the pinna and areas prone to collecting impurities behind the pinna.